THIS WOW MELTED MY HEART | The Book on WOW! 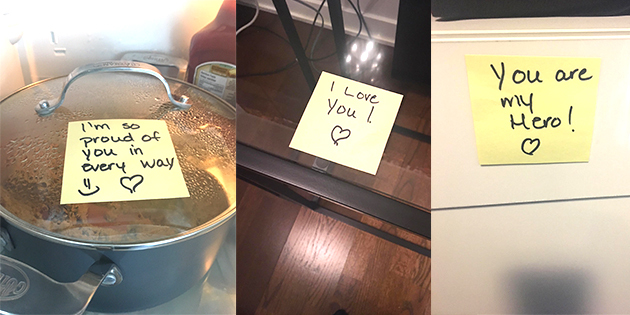 I came home today and was blown away by this sweet gesture from my wife. She knows me so well. First thing I did was go to the fridge to grab some amazing leftovers and I see this note on the pot. Then I go to my den and see this message on my laptop table. And finally, I go to my walk-in closet to change and find my final message # 3 on the drawer of my cabinet! I was so surprised and truly touched. This is what I am so grateful for!